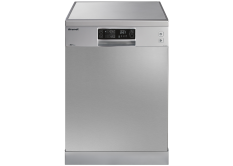 Available in free-standing, built-in and fully built-in versions, 45 cm or 60 cm wide, with a capacity of 10 to 15 place settings… these new Brandt dishwashers are designed to meet your needs by combining versatility and performance. With its reduced dimensions (43.8 x 55 x 50), the compact model will slot easily into small kitchens and provide the perfect fit for the daily dishwashing needs of single people and young couples, with performance levels right up there with those of the bigger models!" 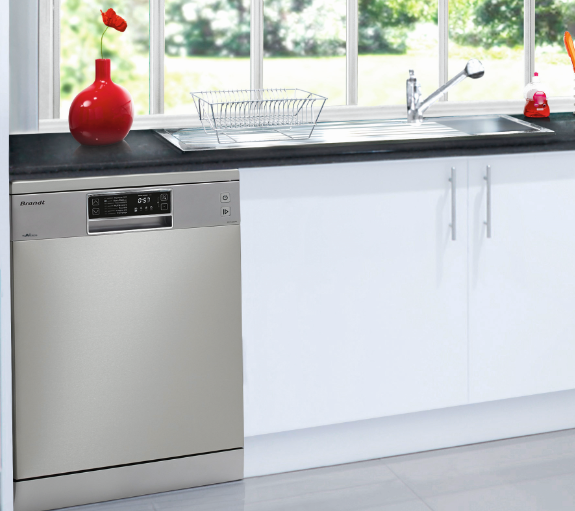 With their large, chrome-framed screen and touch-sensitive buttons, our free-standing dishwashers couldn't be easier or more pleasant to programme. The functions offered are clearly indicated (washing programmes, temperatures, delayed start, etc.) 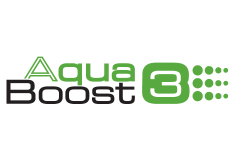 to maximise speed and efficiency. The digital control screens on the built-in and fully built-in models combine functionality and style. Each rack is designed for maximum versatility, with multiple possible loading combinations: the upper rack offers pulls out smoothly and is height-adjustable for your comfort, while the lower rack is highly practical, with a handy "satellite" section and plenty of space for you to intuitively arrange your daily load. This space in the upper part of the machine offers easy access to your cutlery while optimising washing performance through the way the cutlery is arranged and the special shower head positioned just above the rack. 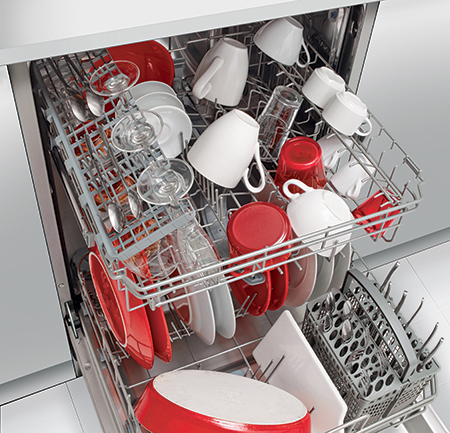 All of our 60 cm dishwashers offer an excellent Energy Labelling rating. A+++ models are 20% more economical than Class A+ appliances. The fully built-in Water Saver dishwasher (VH1235J) consumes just 1540 litres of water per year, making it the most water-efficient on the market. The other 13-place-setting models, meanwhile, consume just 2800 litres a year, half what the best models used 10 years ago. Silence Drive System: silence is golden! The Silence Drive System motor is more robust, more efficient and, above all, quieter (42 dB(A)). This technology also considerably reduces energy consumption: 35 W as opposed to 65W for appliances with a conventional motor. Brandt has developed ultra-high performance programmes for optimum washing and drying efficiency, while also lessening the environmental impact of its machines by limiting pollutant discharge. CYCLONE: By combining a high-temperature wash (70°C) with a power 80% greater than that of a conventional dishwasher, this exclusive programme designed for the dirtiest saucepans or cooking dishes achieves unprecedented results. OPTIA 60 MINUTES - 60°C: This unique programme guarantees optimum washing and drying efficiency for a daily load, in just 1 hour. 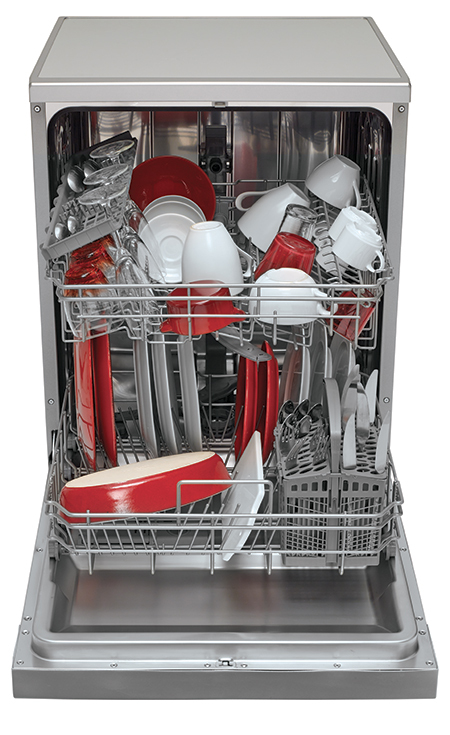 NORMAL: Suitable for a normally dirty load, this mode will rid your dishes of greasy residue through pre-washing at 45°C, washing at 55°C and 2 rinsing cycles (the last at 65°C). 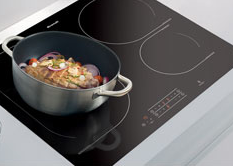 AUTO: Operating at 45-55°C, this mode automatically detects the dirtiness and quantity of your dishes to optimise power and water consumption. 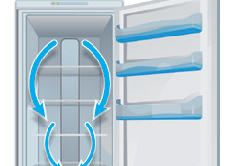 ECO: This programme, the most economical in terms of water and power consumption, combines a pre-wash, a 50°C wash and 2 rinsing cycles (the last at 60°C), making it suitable for normally dirty dishes. FRAGILE: This 40°C washing programme is recommended for fragile dishes and glasses. SOAK: This very short cycle rinses and soaks your dirty dishes so they are ready to be washed the next day.